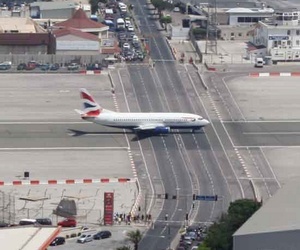 Winston Churchill Avenue cuts directly through this airport, necessitating railroad-style crossing gates. 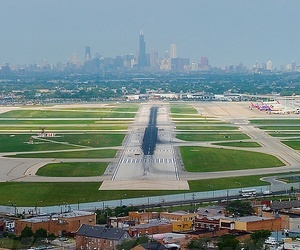 This airport is built on just one square mile. 737s are a common sight, yet it was designed for DC-3s. 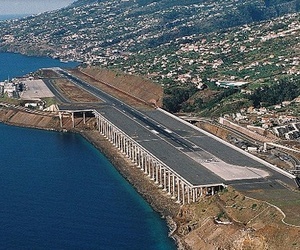 The end of this runway is built on 180 columns. Where is it?